With the water distributors Cullwater no more bottles or heavy bags of water to carry, but all the water you want and within reach. 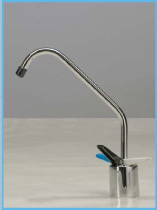 With these equipments that are available in the under / over counter version, in fact, it is possible to have natural, refrigerated and sprakling water in every moment of the day. They are ideal for home, offices, wellness centers, gyms, hotels, conference rooms, and they are able to supply till 25 Lt/h of refrigerated water. 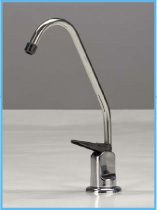 The distributors of bigger capacity, advisable for bars, restaurants and canteens are also available on demand. These systems directly are linked to the water network that, in according to the necessities, can be treated with different systems of filtration and/or reverse osmosis, with a final sterilizer UV. 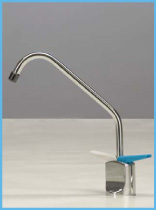 These equipments have reduced dimensions, an elegant design and an easy use, don't need frequent maintenances. Over counter water distributor with 2 or 3 selections of ambient temperature still water, cooled still water, and cooled sparkling water. 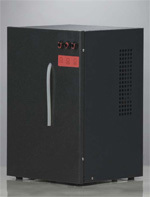 Ice bank cooling system, grey external housing with thermoformed front available in 5 different colours. Under counter water distributor with 2 or 3 selections of ambient temperature still water, cooled still water, and cooled sparkling water. Ice bank cooling system, grey external housing. 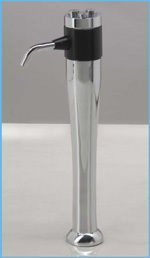 Chrome plated brass water taps available with 1, 2 or 3 outs. Manual drive. 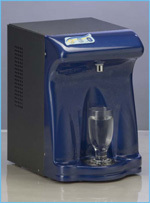 Mechanical dispensing tower with 3 selections of ambient temperature still water, cooled still water, and cooled sparkling water. Chrome plated finishing. CO2 disposable cylinder 600 gr, CO2 reloading cylinder 1000, 2000 or 4000 gr, CO2 regulator, anti-flooding valve, micro-filtration system mod. M.F. 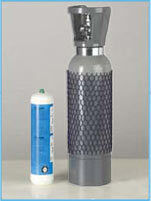 300 / U.V., reverse osmosis system R.O. 5-S-U.V.